Current AFL boundary umpire, Mitch LeFevre was indicted into the Tasmanian Football Hall of Fame for his outstanding contribution to football last Saturday night at Wrest Point Casino. Mitch becomes only the third umpire to be inducted into the Hall of Fame. Mitch who continually runs under the radar was justifiably inducted based solely on his body of work. While he was immensely proud of his achievement and the recognition of it, like Scott he deferred to others and for the help he was given as a young man with an ambition. Le Fevre began his umpiring career as a 14-year-old and cut his teeth in NTFL and TFL Statewide League before officiating four TAC Cup matches in 1999 and Tasmanian Devils VFL matched in Northern Tasmania. Since then, umpired 228 AFL matches, 13 finals and last year’s grand final to go with his three VFL decider appearances (2004-06). 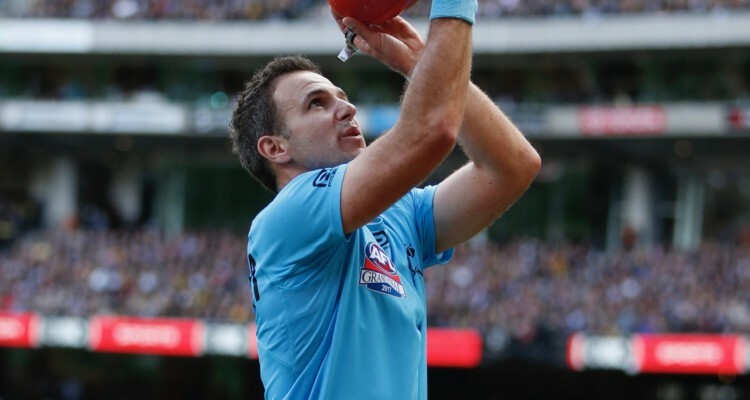 Le Fevre’s efforts have seen him recognised with AFL Umpires Association life membership as well as the Murray Williams Shield, a peer-voted award recognising on-field excellence and positive contributions to the umpiring fraternity.